By Daniel Horowitz—The upcoming Yom Hashoah V’Hagvurah Community Holocaust Commemoration – co-sponsored by UJA Federation of Greater Toronto’s Sarah and Chaim Neuberger Holocaust Education Centre and the Canadian Society for Yad Vashem– will be a historic one. Taking place on Sunday April 27, 2014 at 11:00 am at Vaughan’s Joseph & Wolf Lebovic Jewish Community Campus, the event, entitled Jews on the Edge 1944: Between Annihilation and Liberation – will include a presentation of photos from Yad Vashem’s Auschwitz Album, a Toronto first. 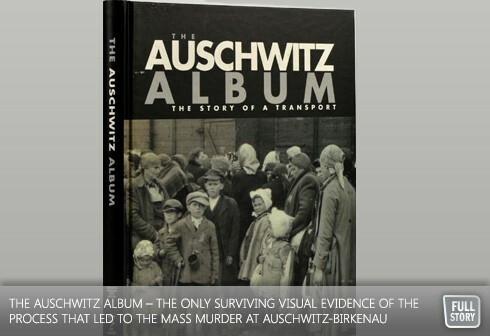 The Auschwitz Album – the only surviving visual evidence of the process that led to the mass murder at Auschwitz-Birkenau – consists of images of inmates taken in 1944 by a member of the SS tasked with taking ID photos and fingerprints..
“One of the most interesting aspects of the Auschwitz Album is the story of how this album survived and came to be acquired by Yad Vashem; how Yad Vashem restored the album and digitized it so that the documentary evidence of what occurred in Auschwitz is available to people worldwide," says Fran Sonshine, National Chair, the Canadian Society for Yad Vashem. Adding to the poignance of these photos – many of which are connected to Toronto’s survivors – will be the accompanying music written by Israeli composer Oedon Partos, the first laureate of the Israel Prize (1954) among Israeli composers. His song, entitled Yiskor, will be performed during the photo display by Romanian-born, Israeli-raised violist Uri Mayer, who will be accompanied by pianist Judith Kenedi Peleg. Another highlight of the event promises to be the keynote address, delivered by Torontonian Leslie Meisels, a Holocaust survivor and author and Survivor Speaker at the Neuberger Centre. Meisels and his family narrowly escaped certain death when, thanks to a kind twist of fate, they were taken from a holding facility in Debrecen, Hungary to a forced labour camp in the Austrian countryside. The family was included in the 20,000 “exchange Jews” whole lives had been bartered for gold, diamonds and cash in a secret deal between Rudolph Kastner and Adolf Eichmann. As Kastner Jews, they were sent to Bergen Belsen concentration camp where they were allowed to stay together and were treated somewhat better than the other prisoners. In April 1945, the family was liberated by the U.S. army. Meisels’ remarkable tale of survival is recounted in his new book which is part of the Azrieli Series of Holocaust Survivor Memoirs, Suddenly The Shadow Fell, copies of which will be generously provided to those in attendance at the Commemoration event, courtesy of The Azireli Foundation.